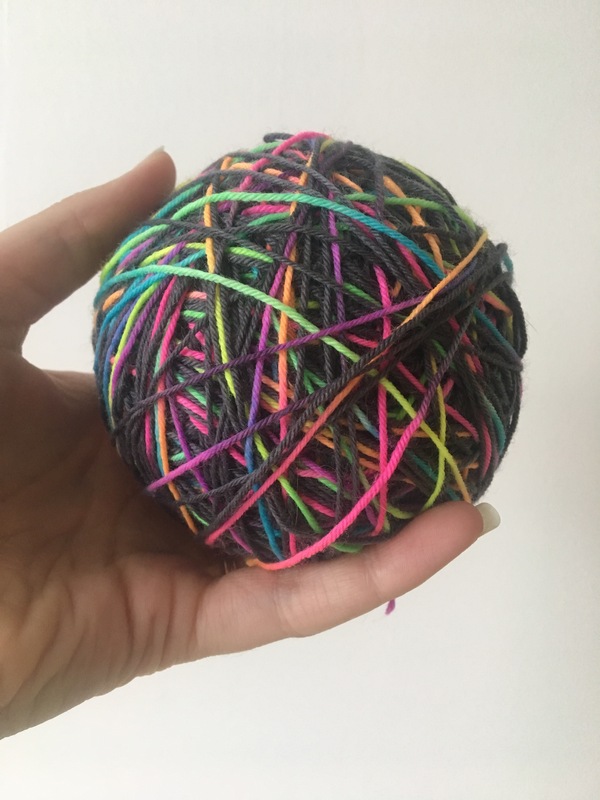 Last month, I went to the yarn folk festival that was held in Whitehead in Northern Ireland. 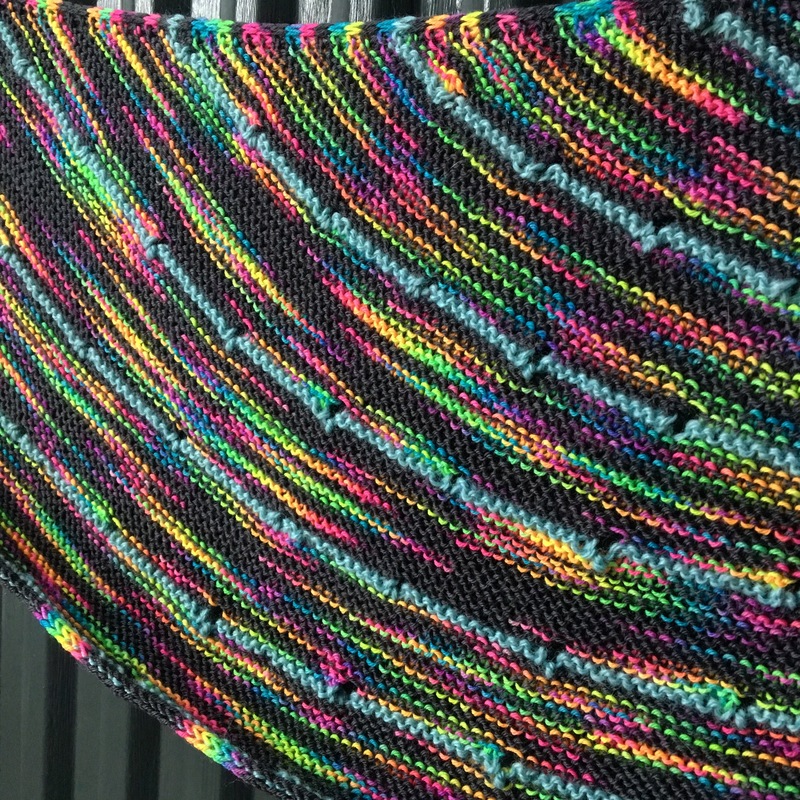 I wanted to find some yarn to make the dotted ray shawl. 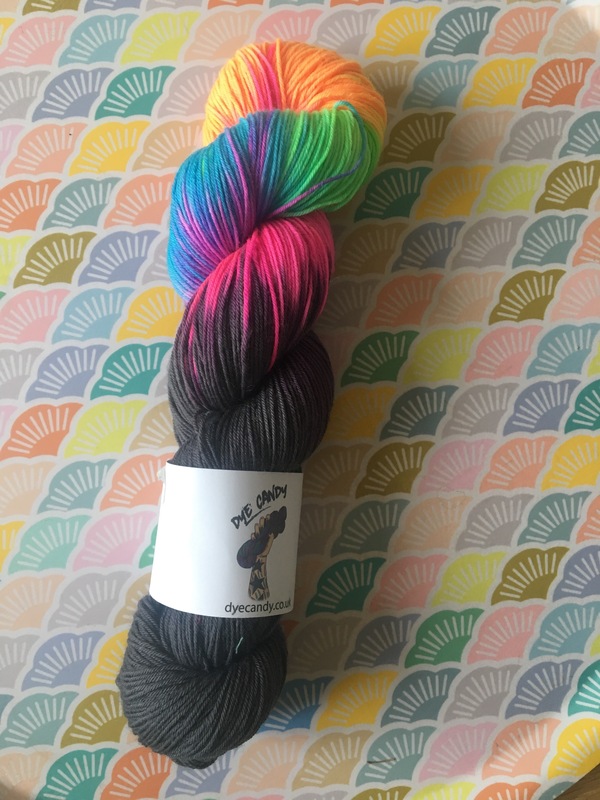 There was so many yarn to chose from and I purchase a few skeins. 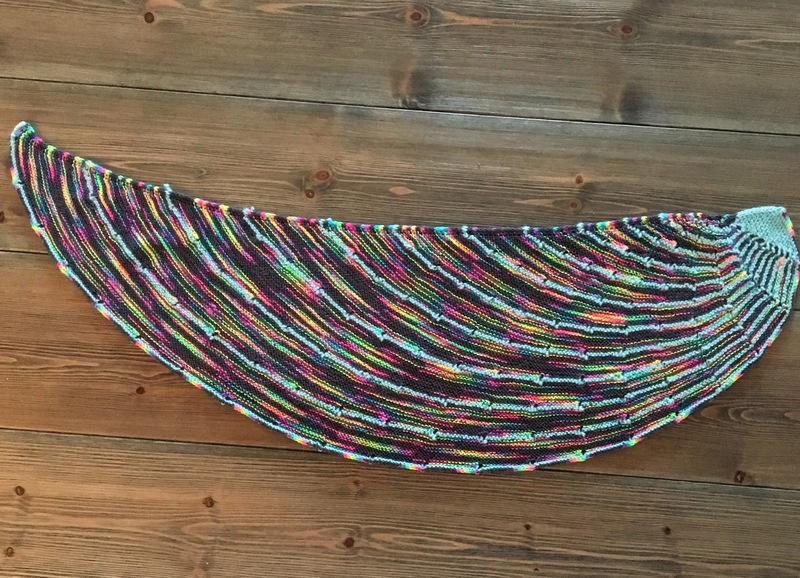 I made the shawl with a sock yarn from Dye Candy called “flash in the pan”. 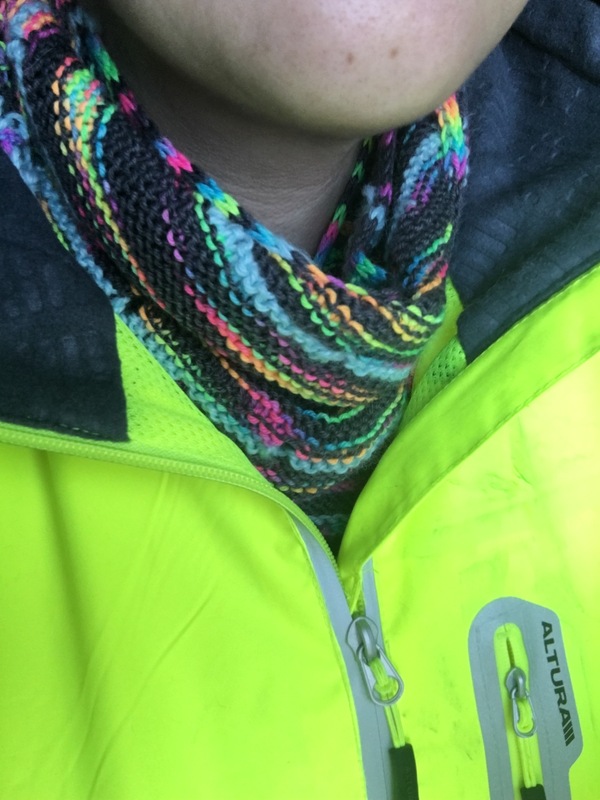 The shawl is quite small but it is perfect for cycling as it is protecting my throat without being to warm ! Wah ! L’effet est superbe, le fil uni met bien en valeur le fil bayadère, les couleurs sont sublimées. Joli travail Bravo !